Guests are escorted to their rooms through lush gardens and ornate porches well adorned with ancient artifacts and art deco vestiges. We are having Luxury Tents and 3 different types of accomodation available. Specially developed complete cottages for a family with kids. 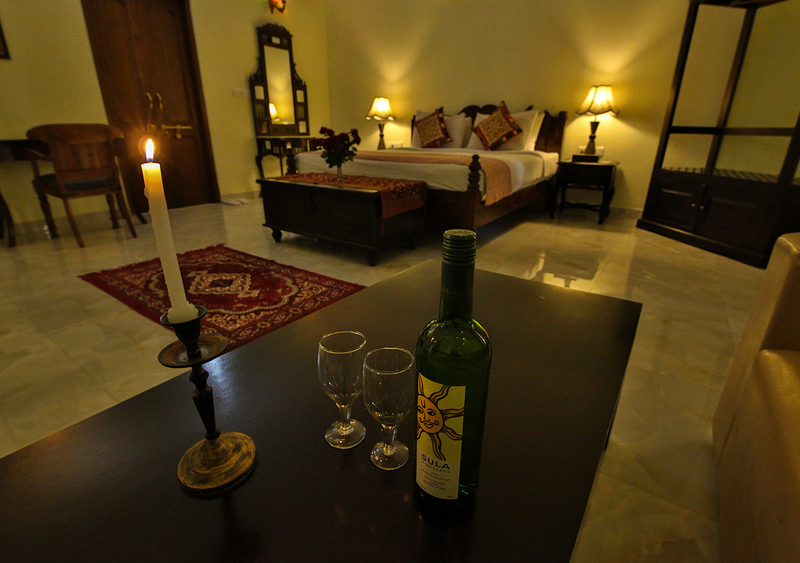 Re-define royal living at Maharaja Cottage, It is a perfect place to pamper you to an unforgettable experience. 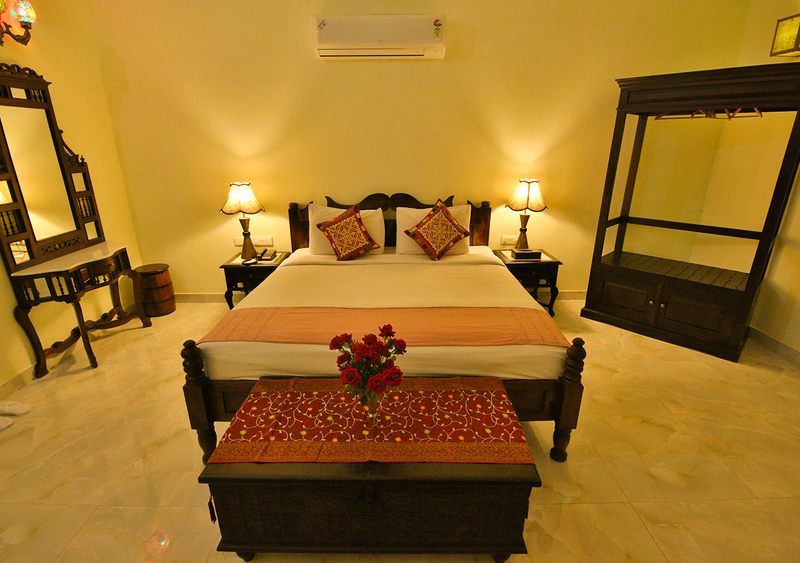 You will truly feel mesmerized from the comforts and facilities provided. 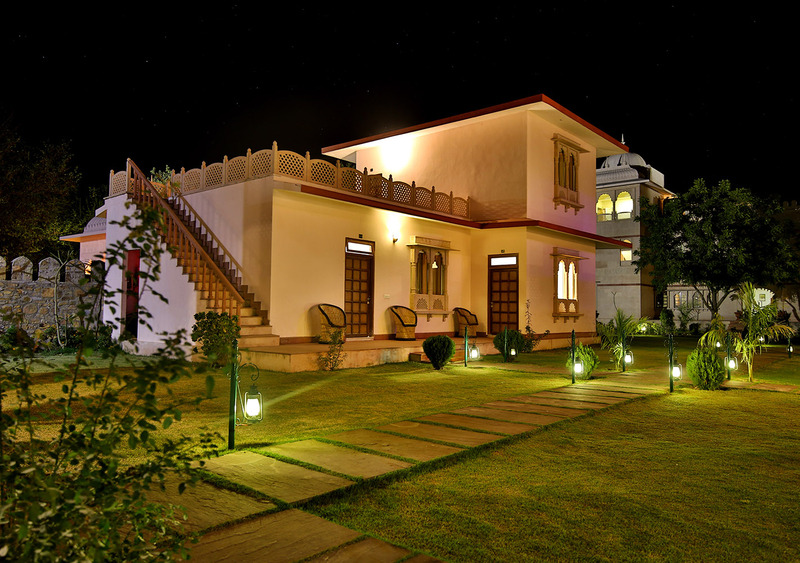 Rajwara Classic is a combination of both contemporary and traditional living experiences. Spacious and elegantly furnished. The ambience is soothing as one relaxes in complete luxury. Experience royalty in the lap of nature. 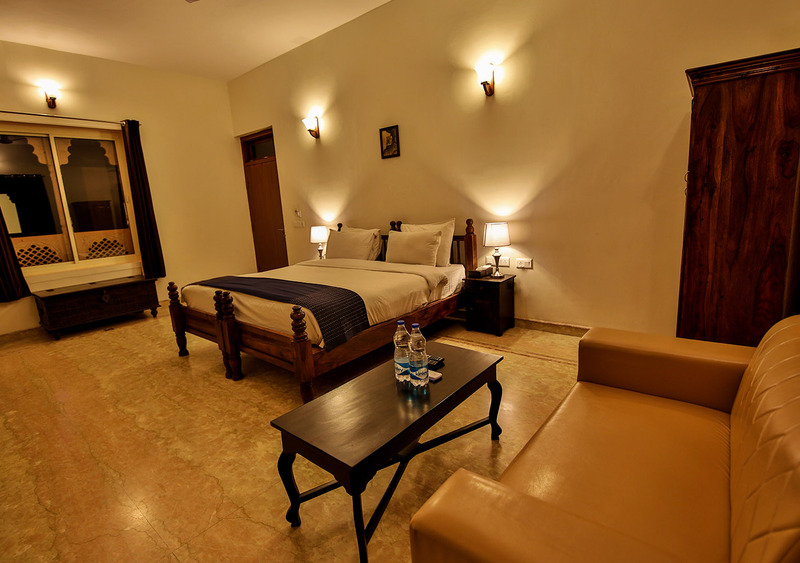 Royal classic rooms are spacious and efficient, with everything you need to work productively or just relax and absorb the atmosphere of nature. 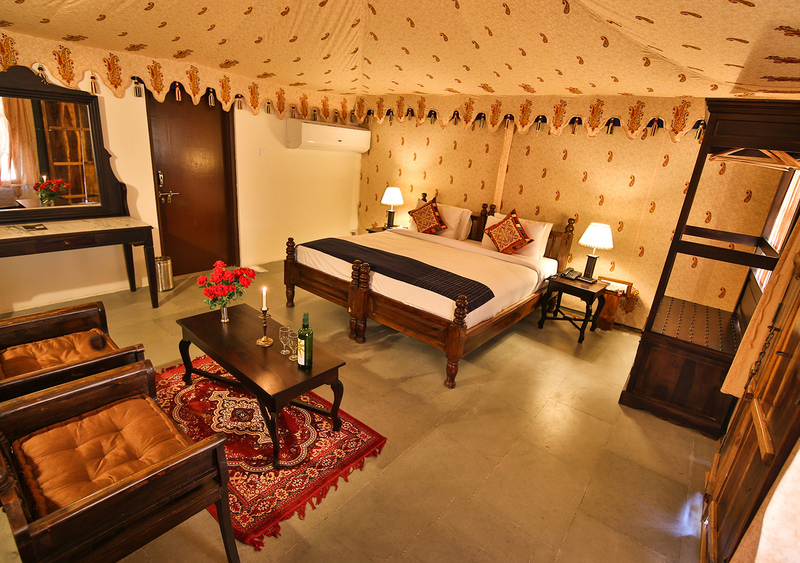 Luxury Tents are reminiscent of royal Indian field tents, large and with the full range of amenities. Our tent comes with a queen bed, air-conditioning, indoor bathroom and flat screen TV. Modern yet simple in design, the tent offers you a winning combination of essential services and comfort.